Renault boss Cyril Abiteboul believes Sergey Sirotkin would be deserving of a seat in Formula 1 if Williams decide to choose him for the 2018 season. The Russian, who has been a reserve driver for Renault for the last two years, is considered the strong favourite to partner Lance Stroll next year after emerging as a candidate at the post-season tyre test in Abu Dhabi. 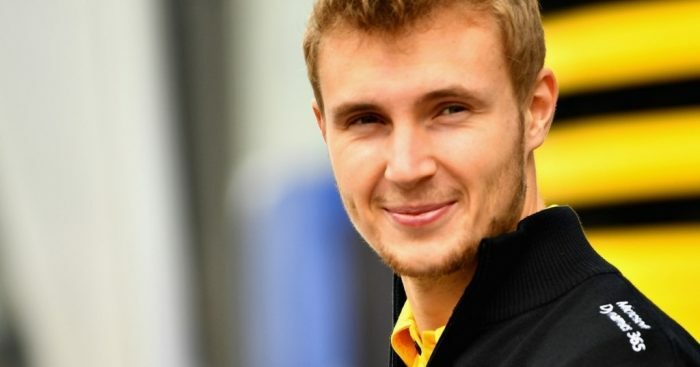 Much has been made of the wealthy backers that support Sirotkin, but Abiteboul thinks that Sirotkin undoubtedly has the talent to match as well. “Frankly we have always been very impressed by Sergey,” Abiteboul told Autosport. “We have not always been impressed by the luck he has, because I think on two or three of his FP1s he performed for the team we had some mechanical issues with the car completely unrelated to him. “But when he was capable of driving he was really capable of showing that he had some pace and also a very strong understanding of the car. Abiteboul also said that that Sirotkin gave the team excellent feedback, too, which is a surprising trait considering how little track time he has had in Formula 1. He added:“I think it’s quite amazing, given his moderate experience of Formula 1 cars, the accuracy of his technical feedback was always extremely helpful. “Actually, some of the development we did this season is also a credit to the feedback we received from Sergey – on the actual car, but also the simulator. “Really, in terms of pace, in terms of loyalty, in terms of focus, in terms of work, I think he deserves to be given a chance in Formula 1. Abiteboul thinks that Renault also deserve credit for helping to develop Sirotkin's ability. “He has some natural skills and natural pace, but in modern Formula 1 those things do not come for free,” he said. “They come also from the effort put in by the team into the driver, and I think we put a lot in terms of mileage in a current car and previous cars, and I think he is a different driver now to what he was 12 months ago.